This photograph was taken somewhere along what is now Sunset Drive off Back Road. 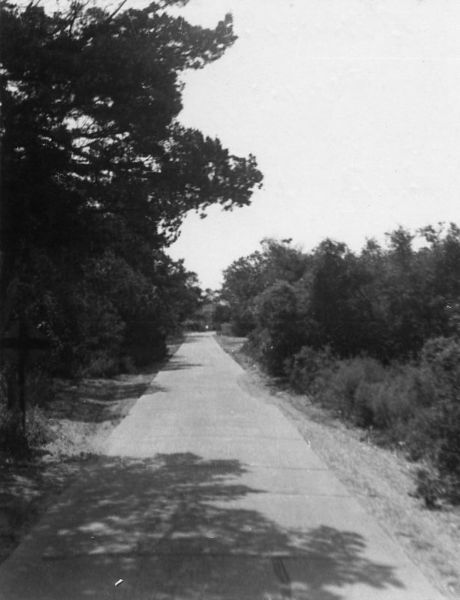 This concrete road was built to accomodate the U.S. Navy base during World War II. They used this road to access an area of the island where ammunition was stored in concrete and sand bunkers.